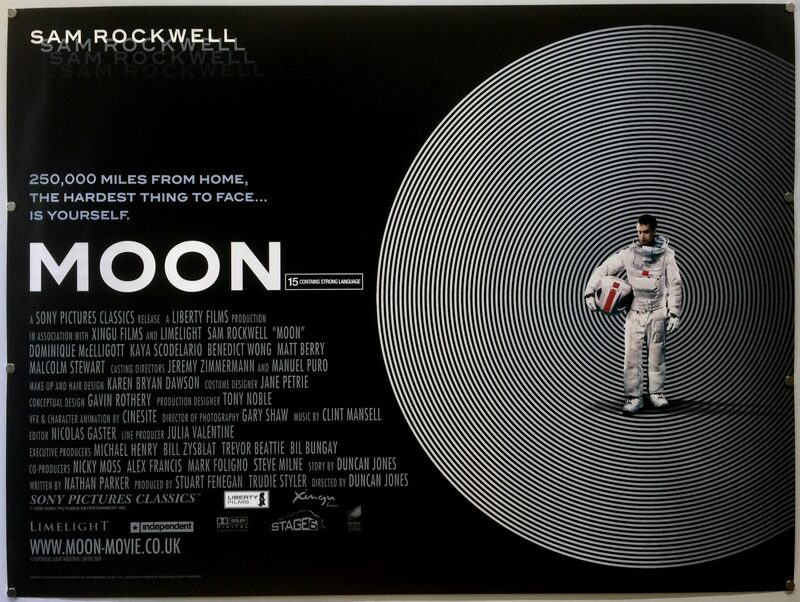 Moon is a 2009 film directed by Duncan Jones and is his first feature film. It was co-produced by Stuart Fenegan and Trudie Styler. The screenplay was co-written by Nathan Parker and Duncan Jones based on his own story. 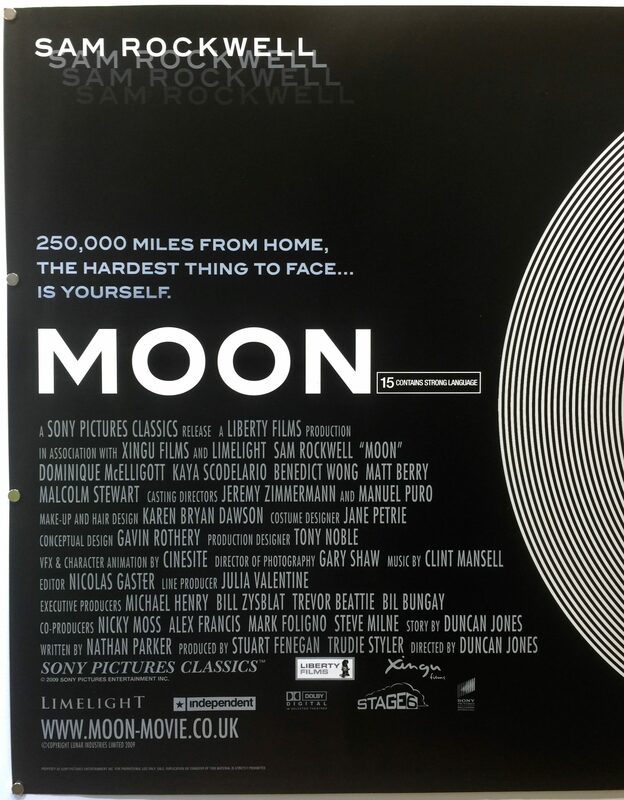 Moon stars Sam Rockwell, Kevin Spacey, Dominique McElligott, Kaya Scodelario, Benedict Wong, Matt Berry, Malcolm Stewart and Robin Chalk. 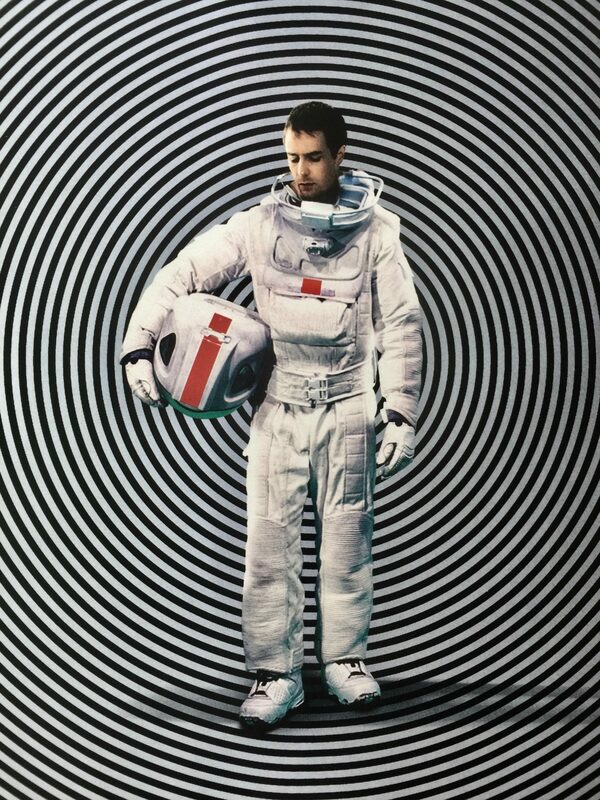 The storyline is set in 2035 and follows Sam Bell, an Astronaut working for Lunar Industries. 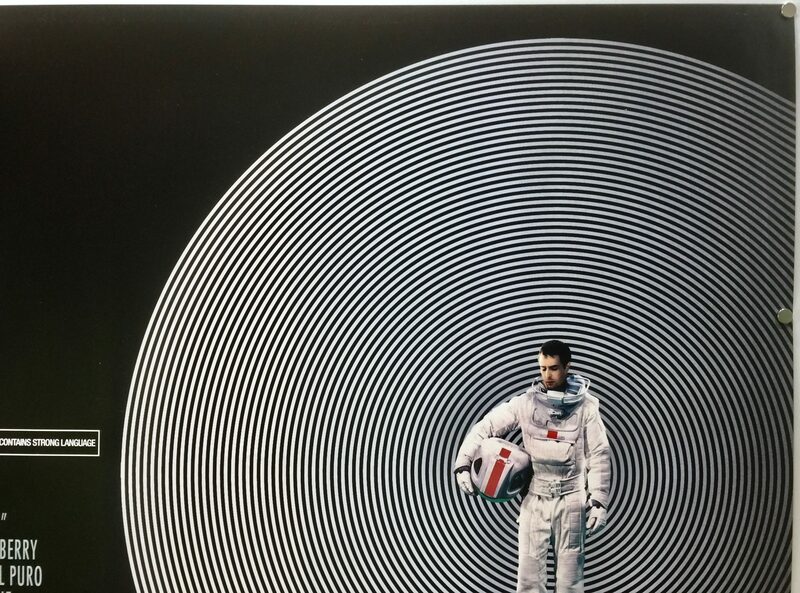 He experiences a personal crisis as he nears the end of a three-year solitary working contract where his primary responsibility is to harvest and periodically send back to Earth supplies of helium-3, the current clean and abundant fuel used on Earth. 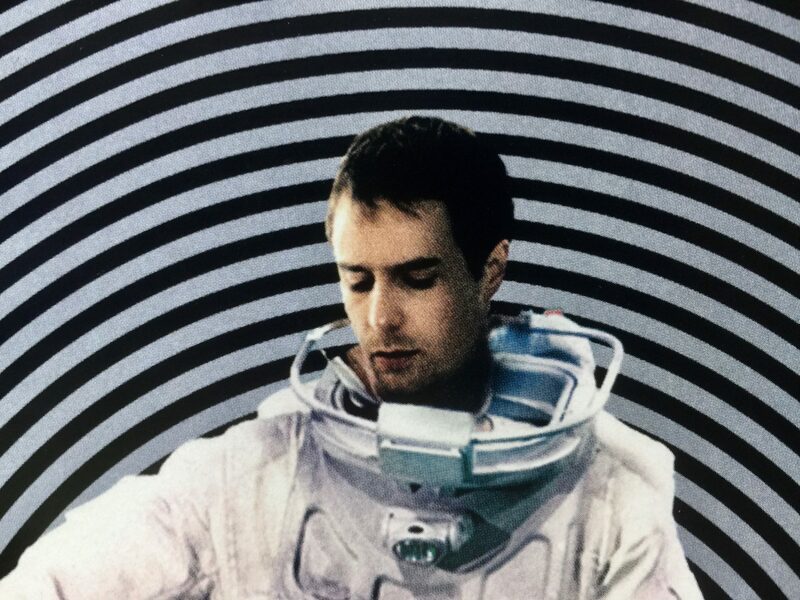 The film was specifically written for actor Sam Rockwell and film pays homage to films from Duncan Jones’ youth, such as Silent Running, Alien, and Outland. 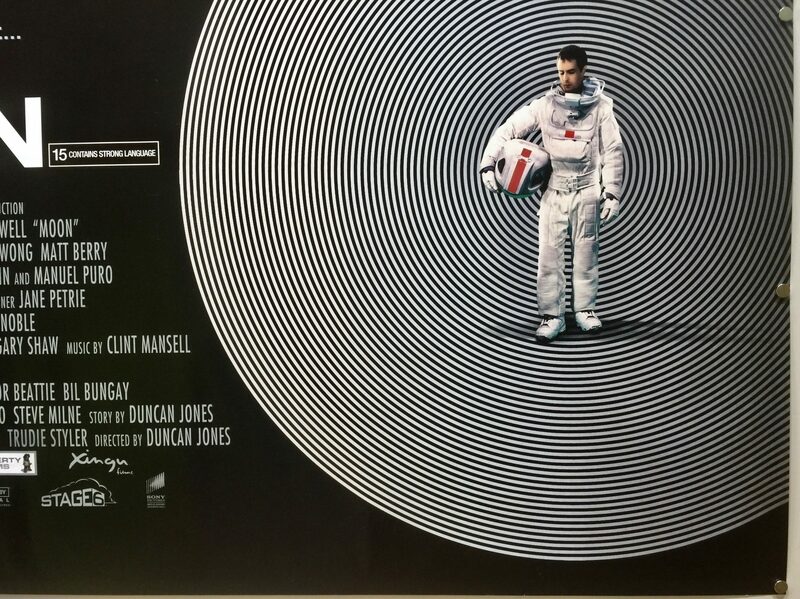 He described the intention of the film was “to create something which felt comfortable within that canon of those science fiction films from the sort of the late seventies to early eighties”. Of the lunar setting, he said “for me, the Moon has this weird mythic nature to it…. There is still a mystery to it. As a location, it bridges the gap between science-fiction and science fact. We (humankind) have been there. It is something so close and so plausible and yet at the same time, we really don’t know that much about it”. Principle photography was completed in the United Kingdom. 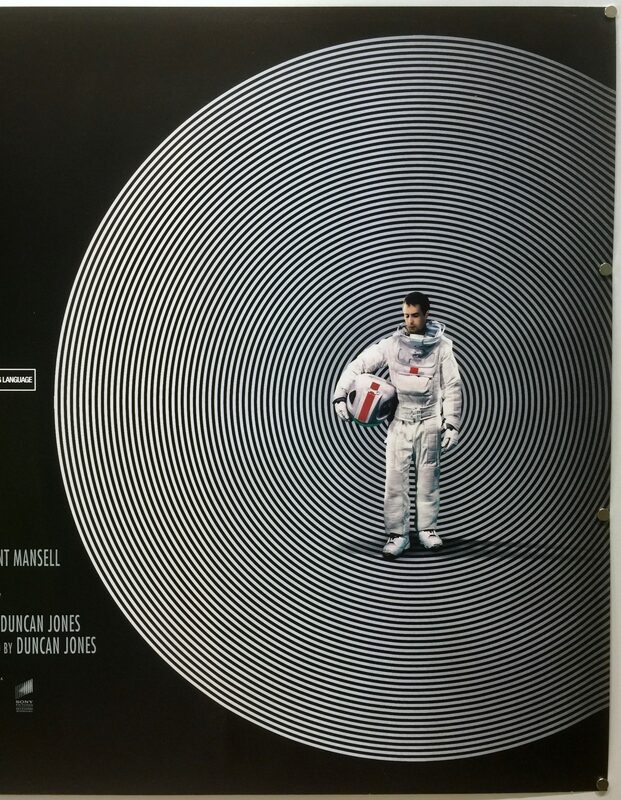 Duncan Jones took steps to minimise the production costs by keeping the cast small and filming in a studio. 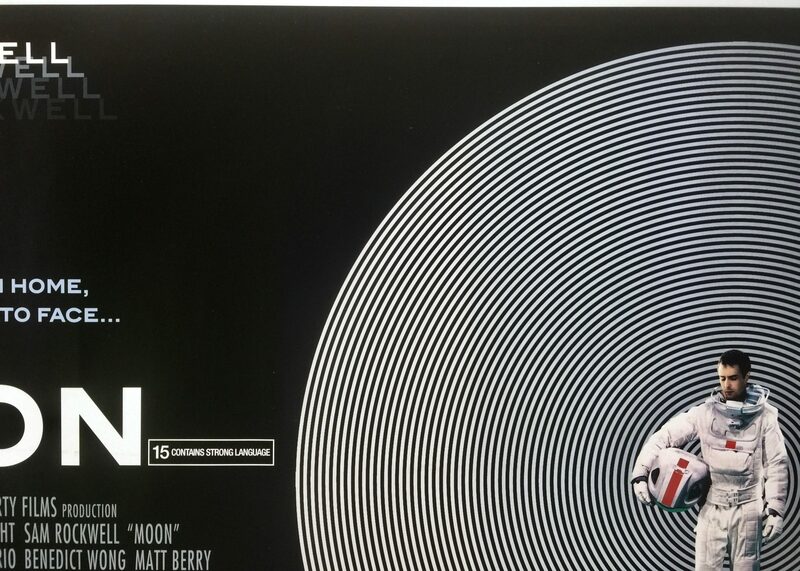 Moon was produced at Shepperton Studios in London and was filmed in only 33 days. He preferred to use models rather than digital animation and worked with Bill Pearson, the supervising model maker on Alien, to help design the lunar rovers and helium-3 harvesters. 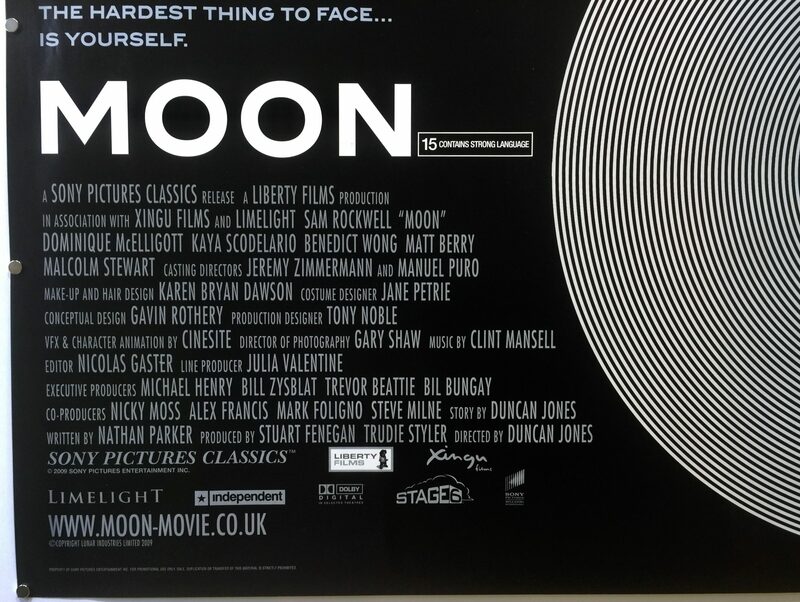 When Moon was released it received positive reviews from the critics. 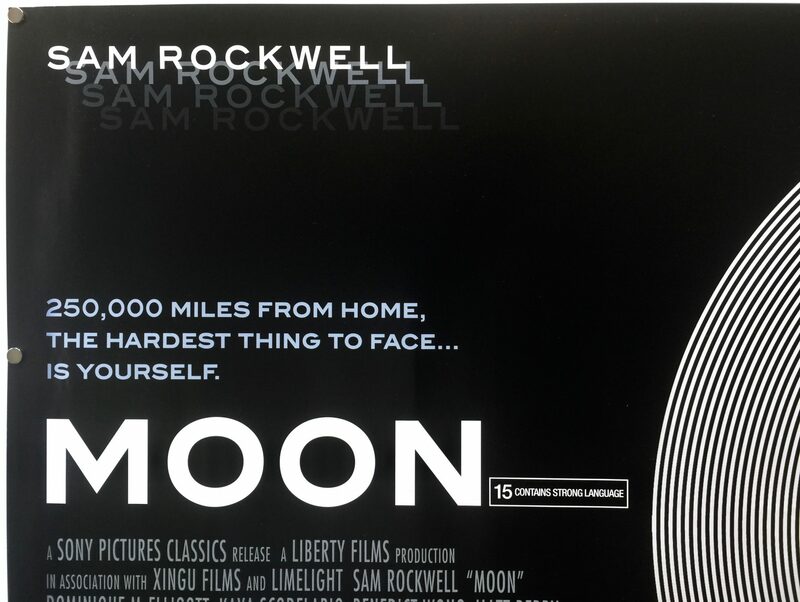 On Rotten Tomatoes it currently holds a rating of 89% with the general consensus being, “Boosted by Sam Rockwell’s intense performance, Moon is a compelling work of science-fiction, and a promising debut from director Duncan Jones”. 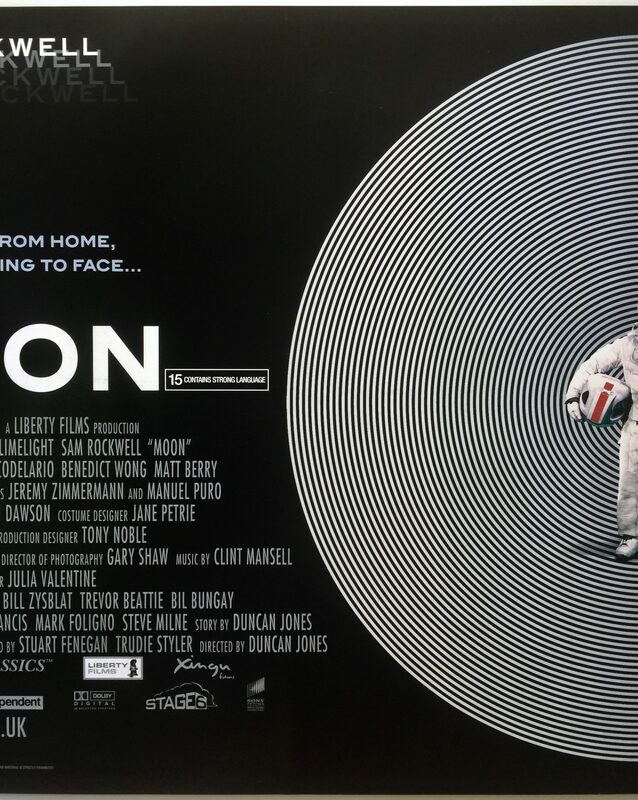 Roger Ebert gave the film three and a half stars out of four, saying “Moon is a superior example of that threatened genre, hard science-fiction, which is often about the interface between humans and alien intelligence of one kind of or other, including digital. John W. Campbell Jr., the godfather of this genre, would have approved. The movie is really all about ideas. It only seems to be about emotions. How real are our emotions, anyway? How real are we? Someday I will die. This laptop I’m using is patient and can wait”. 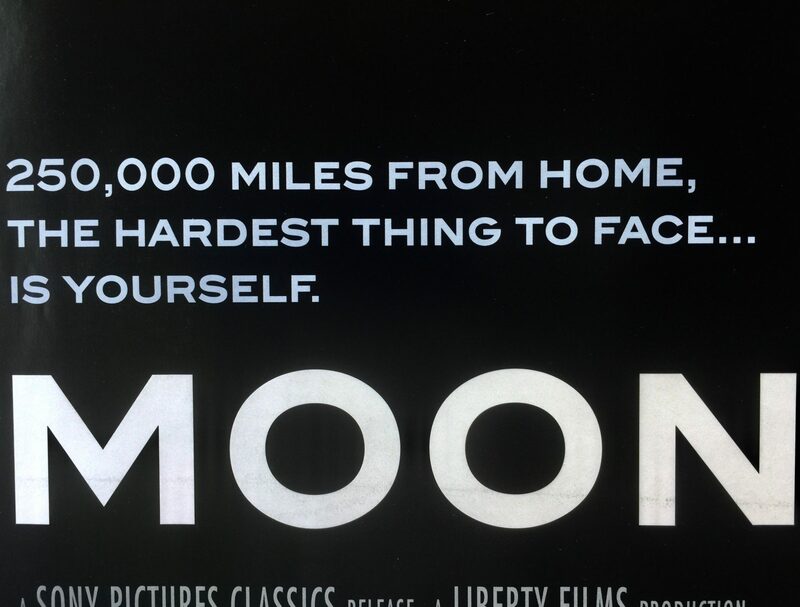 Commercially, Moon was a modest box office success. Having been produced with an estimated production budget of $5m. In its opening weekend, it took $136,046 at the US box office and took $9,760,104 in total worldwide box office receipts. 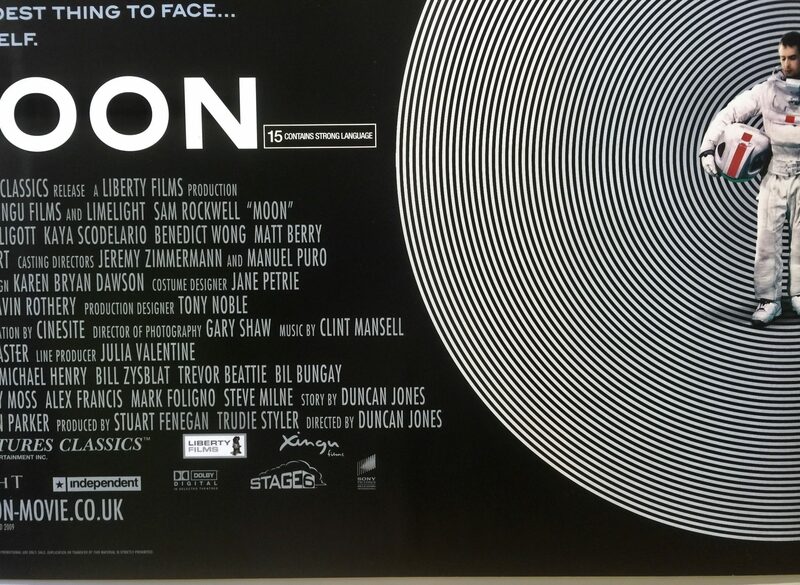 Duncan Jones is planning a follow-up film, called Mute, which will serve as an epilogue to Moon. “Sam has agreed to do a little cameo in the next film”, said Jones, who ultimately hopes to complete a trilogy of films set in the same fictional universe.